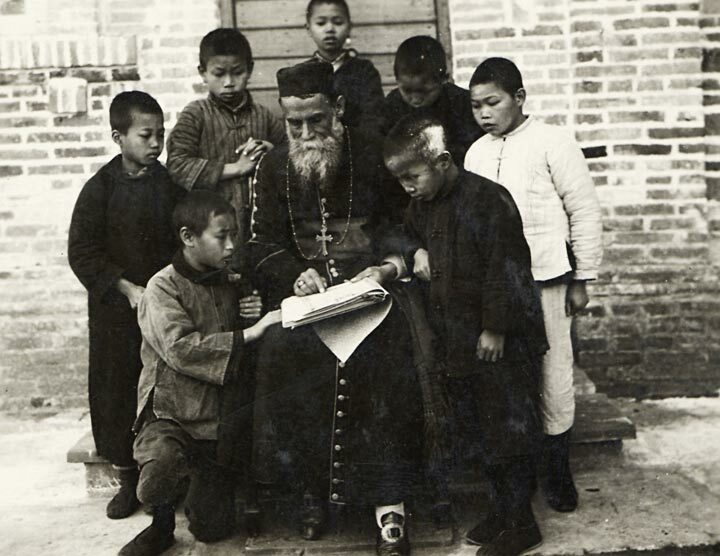 Salesians have been present in East Asia from 1906 (China – Macau) with the leader of the first missionary group from Italy - Fr. Louis Versiglia, one of the 120 Chinese Holy Martyrs and Apostolic Vicar of Shiu Chow (China - Canton province). Our arrival to Oceania, Australia-Kimberley goes back to 1923. During past 112 years Salesian presence slowly extended to other 23 countries (17 in East Asia and 6 in Oceania) - Macau (1906), China (1920), Hong Kong (1923), Australia (1923), Japan (1926), Thailand (1927), Myanmar (1939), Timor Leste (1946), Philippines (1951), Vietnam (1952), Korea (1954), Taiwan (1963), Samoa (1979), Papua New Guinea (1980), Indonesia (1985), Cambodia (1990), Solomon Islands (1995), Pakistan (1998), Fiji (1999), Mongolia (2001), Laos (2004), New Zealand (2010) and Malaysia (2017). During past 50 years the Salesian provinces of our Region underwent different configurations. Finally during the General Chapter 25 (April 2002) was born the present East Asia Oceania region in order to help build a greater sense of communion and identity and facilitate greater cooperation and support among its Salesians and respective Provinces and Delegations. 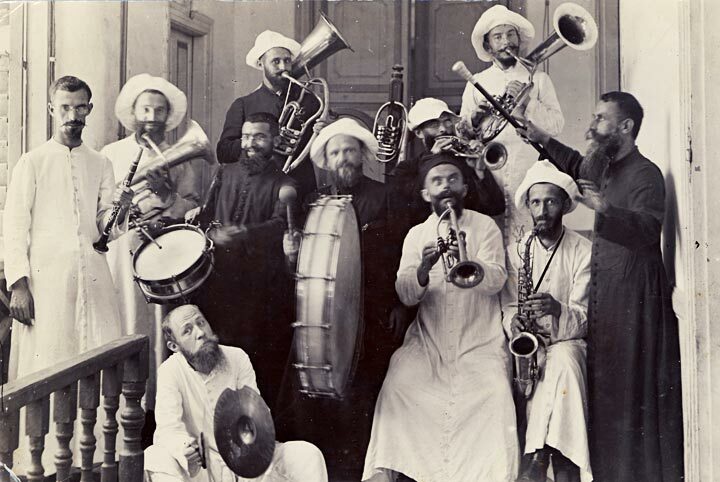 From the beginning the missionary zeal is one of the main characteristics of our Region. Among the first missionaries - founders could be find many model of Salesian missionary spirituality – St. Louis Versiglia and St. Callistus Caravario (China), Venerable Vincent Cimatti (Japan), Servant of God Andrej Majcen (China-Vietnam), Servant of God Carlo della Torre (Thailand) and Servant of God Carlo Braga (China-Philippines). As return, in past 25 years about 150 missionaries ad gentes were sent from the EAO provinces and most of the provinces are in charge of some missionary territory. 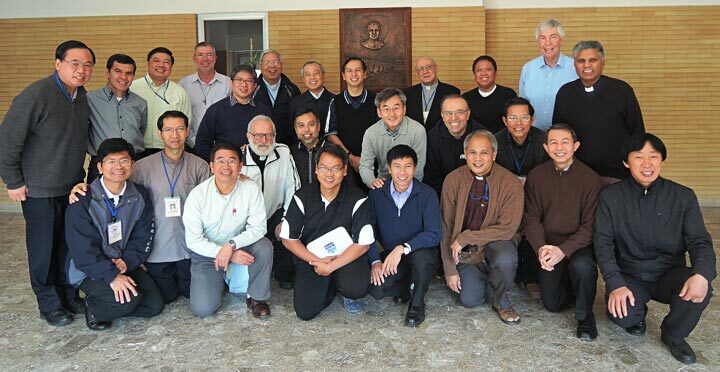 Among the 30 official groups of the Salesian family – five were founded in the EAO provinces: Sisters Announcers of the Lord (China, 1937), Caritas Sisters of Jesus (Japan, 1937), Servants of the Immaculate Heart of Mary (Thailand, 1938), Daughters of the Queenship of Mary (Thailand,1954) and Sisters of the Queenship of Mary (Thailand, 2011). The sharing and synergy fostered by the EAO Region a strong necessity for the world wide Congregation to accomplish its mission in an area with at least one third of the world’s population and a large proportion of its indigenous peoples. Christianity is a tiny minority in East Asia-Oceania which is home to several major religions and to ancient, deep spiritual and cultural traditions - the most populous Islamic nation, Indonesia; four of the five countries that adhere to Theravada Buddhism, Laos, Cambodia, Myanmar and Thailand; and all the countries of Confucian culture. Although only the Philippines and Timor Leste are predominantly Christian, the area is a fast-growing part of the Congregation, along with South Asia and Africa-Madagascar region. The Salesians in East Asia Oceania receive between 70 and 80 novices coming from the aspirancy experience of 800 young men across the Region. Among the 1500 Salesians are present more than 800 Salesian Priests and 200 Salesian Brothers (50 of them in temporary vows). Today coordinators of different sectors (Formation, Youth Ministry, Social Communication, Missions, Economy and Salesian Cooperators) remain in their own ministry bases in various countries, while carrying additional regional responsibilities as ‘bridge’ and ‘animator’ for their specific sectors. The 10th Successor of Don Bosco, Superior General (Rector Major) Fr. 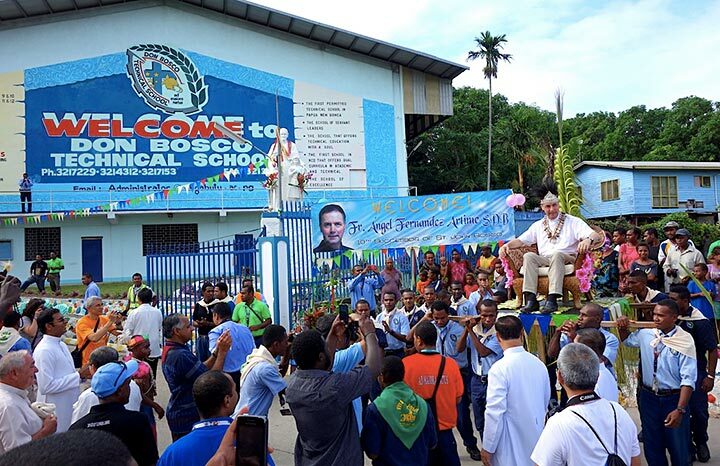 Angel Fernandez Artime visited the Pacific part of our Region last May 2015, giving preference to the ‘peripheries’ of the Congregation – Papua New Guinea, Solomon Islands, Fiji, Samoa, New Zealand and Australia. Since then, every year visited some countries, in order to cover all 11 EAO provinces before 2020: Cambodia and Laos (2016), FIN and FIS (2016), Mongolia and Myanmar (2016), Vietnam (2017), Timor Leste and Indonesia (2018), Japan and Korea (2018). The Provincials and Delegation superiors of the EAO region meet regularly each year in March, while the other sector delegates meet every November. Currently there are about 1,500 Salesians in this Region, with 11 Provinces (Australia – Pacific, China, Philippines North, Philippines South – Pakistan, Japan, Indonesia-Timor, Korea, Myanmar, Papua New Guinea – Solomon Islands, Thailand-Cambodia-Laos and Vietnam-Mongolia) and 6 Provincial Delegations (Cambodia, Indonesia, Mongolia, Pacific: Samoa, Fiji and New Zealand; Pakistan). Sharing of life and mission experience is facilitated in many ways: since 1997 started the Regional service of AustraLasia news that is based since last February 2015 on the Boscolink web (www.bosco.link). Monthly Good Night talks are sent to all Salesian Family members every 1st day of each month.